All three occurrences are found in Guatemala. A large part of Guatemala is volcanic and, being volcanic, contains areas where magmatic igneous intrusion has occurred. Mineral emplacement associated with this intrusion results when liquid and gas phases of enriched water (containing F, Cl, B, C02, S, Fe, Cu, Pb, Zn, Au, Ag, Sb, Ba, Ca, etc.) migrate upward and condense. Water expelled from source magma moves laterally or vertically, and finally to the surface where it may ultimately emerge as a source or spring of thermal water. While moving from the depths to the surface magmatic water loses temperature and pressure, thus losing most of its solvent power. Therefore, almost all substances dissolved in the water precipitate “along the way” causing concentrations or mineral deposits. The conduits through which such water moves are mainly faults, other fractures, and joints (and there are lots of faults in Guatemala …). Locally, other open spaces such as sediment interstices, voids resulting from rock dissolution, lava blisters, explosion or even cavern collapse may also favor mineral migration and deposition. Faults and joints not only serve as conduits but, as the process proceeds, are frequently filled with substances that precipitate. Think of how calcium and chloride are deposited, from the walls toward the center of conventional plumbing pipes, until total clogging and obstruction occurs. Mineral deposits created in this way fill linear faults and joints. Commonly these seams are grossly tabular. Within quartz veins, sometimes within serpentine or other types of bedrock is where gold, originating in deep magma pools, is finally deposited. Spaces between hills and mountains are controlled by both large and small faults. Under certain conditions, especially near bodies of magma, super-heated water can also attack the host rocks, producing alteration, dissolution and then precipitation of new substances within resulting voids in what is termed metasomatism. When mineralization occurs in immediate contact with a mass of molten magma the resulting concentrations are referred to as “contact metasomatic” or “pyro-metasomatic”. If mineralization occurs away from an immediate contact zone (as distance increases and temperature decreases) the resulting deposits are called “hypothermic”. When water temperatures are over 300 degrees C the process is referred to as mesothermal, and when temperatures are between 150 and 300 ° C as epithermal. In Guatemala hypothermic mineralization characterizes deposits from west to east though in the western parts of the country it is primarily epithermal in nature. A number of studies describe these occurrences, and it is common to observe, if you journey through these sections of the country, hot springs, baths and natural saunas as additional testimony to these conditions. 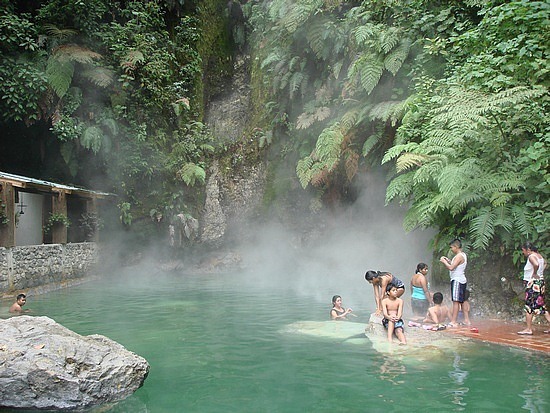 It is very likely that gold may be found within or nearby hot springs what are often tourist attractions. Contact metasomatic mineralization generally occurs at greater depth. Such deposits, rather than occurring near the surface, are accessible only through deep shaft mining or after long periods of weathering and erosion ultimately expose old and previously deeply buried emplacements. Such deposits exist in Guatemala but require modern methods of exploration to discover their location and presence and substantial capital investment to develop. Both classes of hydrothermal processes result in a wide variety of metallic mineral deposits that provide most of our useful metals and minerals. Most of the gold, silver, copper, lead and zinc, mercury, antimony and molybdenum the world uses are obtained from such deposits. Hydrothermal deposits have been exploited, investigated and studied much more than those of any other group. They have given rise to many of the world’s major mining districts and the development of mining science has grown from them. In Guatemala, most previous mining activity has concentrated on non-metallic minerals suitable for construction and the chemical industry. 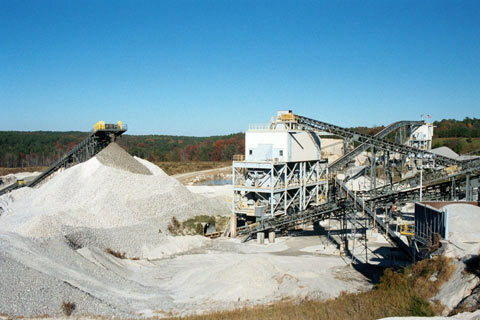 In fact, there is presently only one large gold mine and two medium-sized, open-pit facilities in operation. The country offers much more to explore and great potential for this type of mining. Gold mine open pit, located at the western highlands of Guatemala. The presence and exploitation of surface deposits will be discussed subsequently. This type of production has existed in Guatemala since colonial times, requires lesser degrees of capital investment, yet still offers opportunities for successful development, albeit at smaller scales.